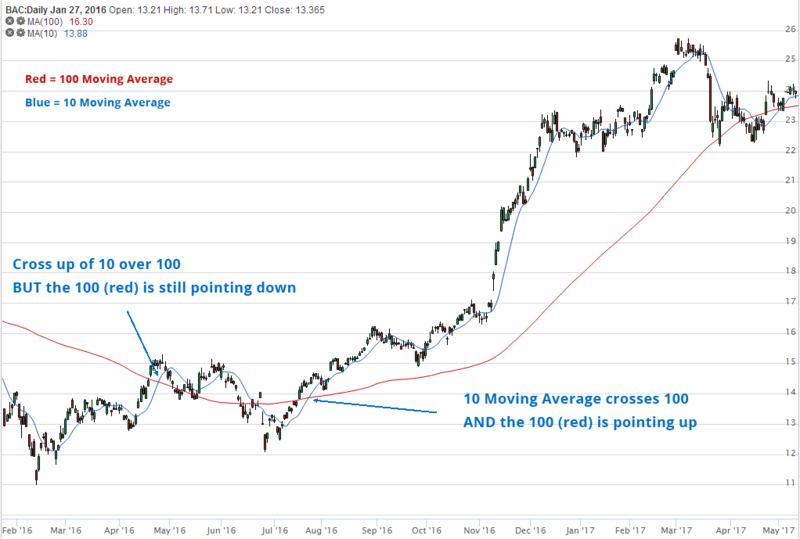 Is a Moving Average Crossover The Best Stock Screener? 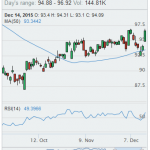 You are here: Home / Filter / Is a Moving Average Crossover The Best Stock Screener? 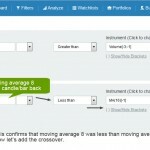 We have hundreds of pre-set stock scanners, but one of the most used is to detect a moving average crossover. 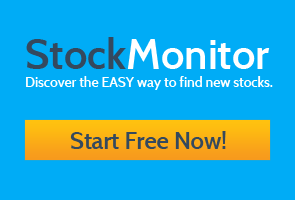 Many people use these, and according to our internal statistics this is the best stock screener, or maybe the most popular here anyway. But why is this simple screener being used so much? Moving Averages are a simple but effective indicator. As the name implies, they are displayed as an average line of movement between the close points, over a set period. Popular periods are 50 days, 100 days or 200 days. But the beauty of moving averages is you can also use very short time periods to create a crossover of a longer period. For example a 100 period moving average is a semi long term indication of trend direction. If prices are trading above this average, and the average is pointing upwards then prices will generally be heading up (maybe with a few downs in between). By adding a shorter time frame moving average, say 10 period, you are seeing if the 10 day movement/trend is crossing up or down over the longer term movement. Let me show you a chart with some explanations, and show you why using a screener is the best way to detect these crossovers. As you can see the first cross up, the 100 moving average was still pointing down. This suggests the trend still has to turn. A few ups and downs (creating higher lows) over a few weeks helped the average point up, and the next time the 10 crossed above the trend took off and didn’t stop. Granted this is a good example, but you can see why people think the best stock screener here is the moving average crossover. The great thing about our screener is you can customize the periods of the averages to suit your style of trading, and also add in further criteria such as low or high RSI etc. You do this by starting on the main filter area and selecting one of our pre-set scanners. Then once it is selected you will see a green edit/clone icon like below. Once you click this you can then give your new screener a name, and edit the settings. It will then be available in the custom filters box on the main filter area, and you can also back test or set end of day email alerts when this filter detects new crossovers. Give it a try. I’m sure you will find it easy to get started. Try looking at another article on how to set up a moving average crossover screener, or how to scan for RSI stocks which are both good places for traders to start.